While many people enjoyed Natsu in Soul Calibur V, many people have always preferred the original rather than a spinoff of their likeness. 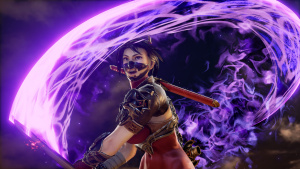 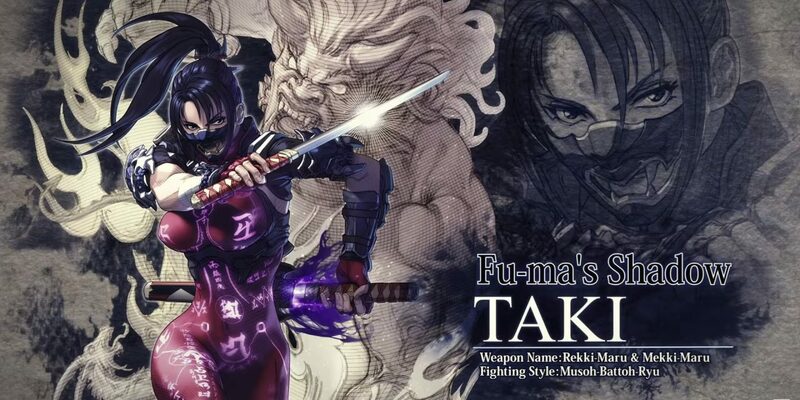 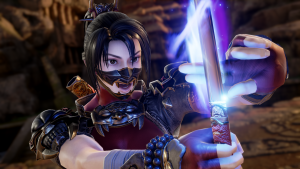 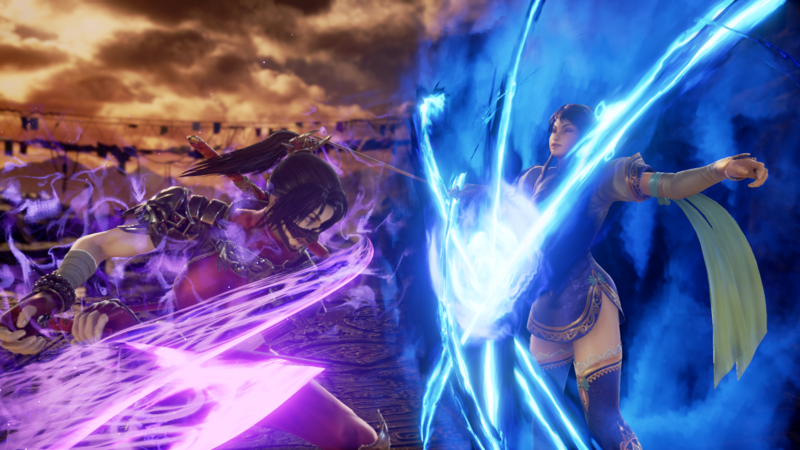 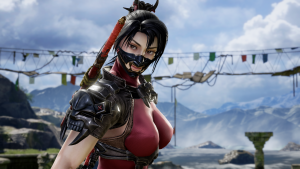 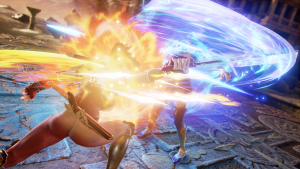 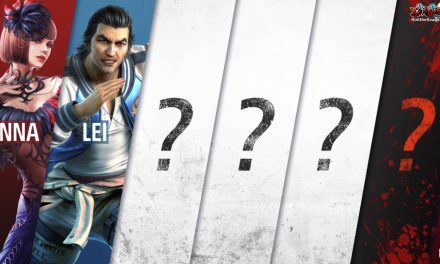 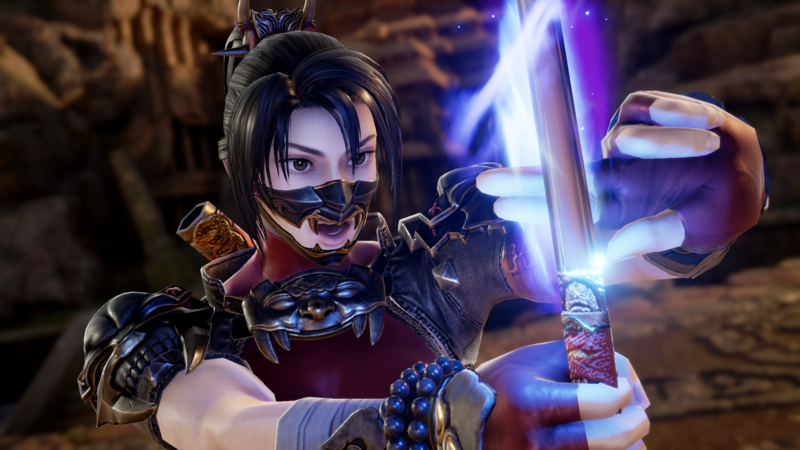 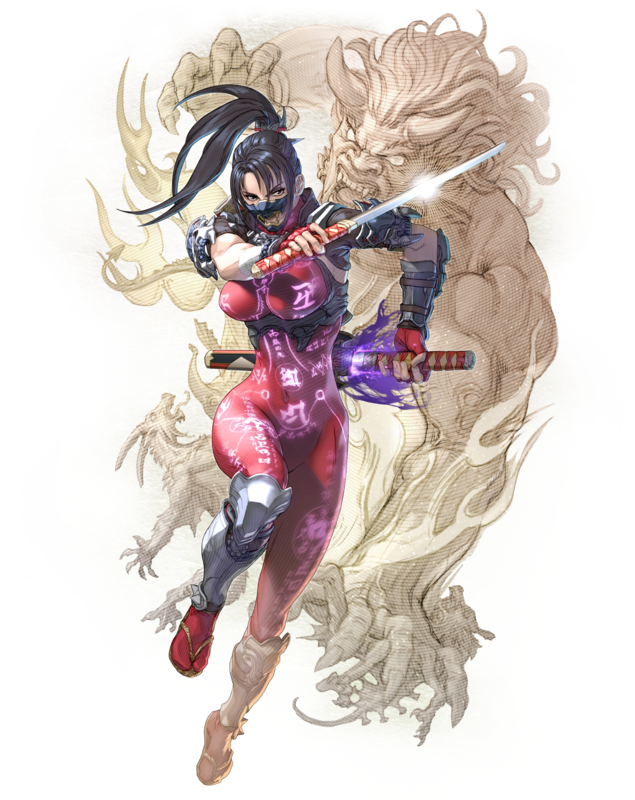 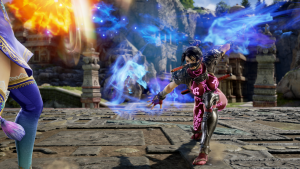 “Fu-ma’s Shadow” Taki has made her triumphant return to the stage of history! 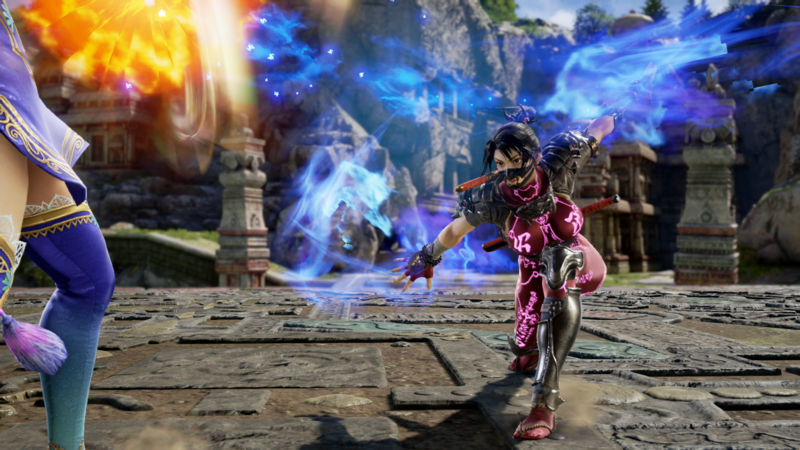 While I personally do not care much for the kunoichi’s design aesthetic or her fighting style, I know many people are glad that the veteran fighter has made her way into the series next installment. 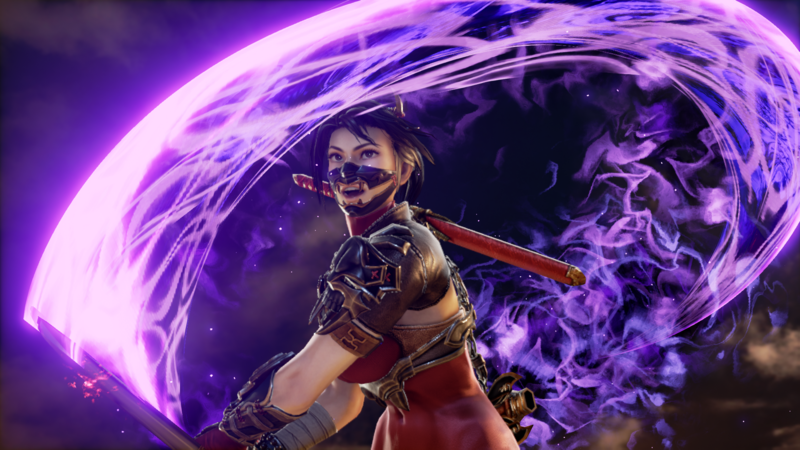 I have included the trailer, character art, and screenshots for anyone interested in seeing what BANDAI NAMCO has in store for us with her official announcement. 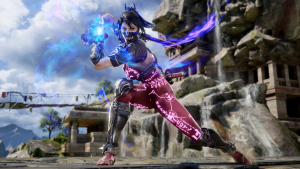 To be perfectly honest, her fighting style looks about the same as it was in previous games, but that is to be expected as they cannot change her too much without long-term fans rising up in outcry (as they did when they realized she was being replaced by Natsu in Soul Calibur V). 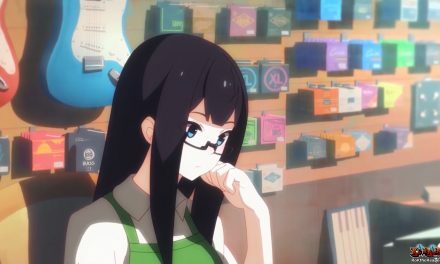 Though, while she does look the same to me, I cannot comment entirely too much on it since I never used her much to begin with. 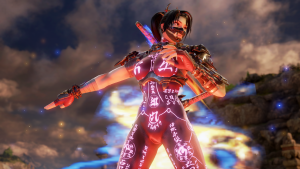 I appreciate the symbols all over her body, as it was a nice touch given to some of her techniques, including one within the trailer around 35 second mark (which is a move akin to Minato Namikaze from Naruto‘s technique where he throws a shuriken at an opponent and teleports to it, known as the “Flying Thunder God” Space-Time Ninjutsu technique which is taken from the second hokage). 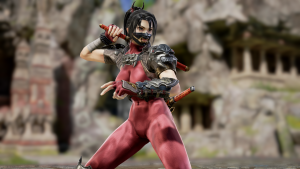 Overall, they modeled the character very well and made her techniques and attacks in such a way that fans of her are going to love it. Though, speaking as someone who has fought against her and Natsu numerous times, she seems like I am in for yet another headache when dealing with people who choose to fight her, cannot wait! PreviousRWBY OFFICIAL MANGA ANTHOLOGY “Red Like Roses” Announced!